I recently found $50 on the footpath as I entered an Officeworks store. No big deal, given I was about to spend double that on stationery, but a nice moment, none the less. Putting it into my wallet, I wondered how long the note had been lying there “unclaimed.” It’s a busy store, so several people must have overlooked it as they walked in. I routinely find loose change around the house, and other places, under the front seat of my car, in my coat pockets and sports bag—and under the cushions of the couch in the living room. It’s always a welcome surprise, even if it’s just a few gold coins. The same ‘hidden’ or ‘unclaimed’ money is waiting to be discovered within your existing customer supply contracts. And just like my $50 footpath discovery, you are likely to have been walking over ‘margin’ for any number of years. Identifying forgotten supplier entitlements, holding customers to account and applying services surcharges for ‘special requests’ not only increases profitability but also materially improves employee engagement. But you can’t leave the responsibility to grasp such opportunities solely in the hands of the sales team. They neither instinctively know where to look for these opportunities nor have sufficient knowledge of the many daily interactions that take place between colleagues managing other functions and their respective customer counterparts. If you’ve fallen into the pitfall of thinking that your salespeople alone are responsible for the end to end customer experience and profitability, it’s time to pause and reconsider. It may surprise you to learn that, if you’re running a company with total revenue greater than $20M per annum, there’s likely to be around 15% of misplaced net margin lying around your business. Most often it will be associated with the over-servicing of your largest two or three customers and is probably being written off as an unfavourable operational or overhead variance. 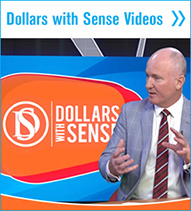 Most salespeople will be unaware that this type of margin erosion is occurring. But staff in other functions won’t. Suppliers routinely leave the management of their ‘big’ customers in the hands of their sales team. Customers can be demanding, sensitive, aggressive and sometimes a little scary—especially when something has gone askew in the relationship between them and you. Customers can be fickle. On a good day they can be exciting to work with but, on a bad day, they can make you question why you are in business. It is this fluctuation in behaviour that causes other functions within a supplier to leave management, reporting, negotiating and the conducting of difficult conversations with customers to their sales team. Salespeople are paid to deal with tough or awkward situations, so we leave them to do their job. The glaring omission in this approach is the sales team, while looking after sales, have little direct participation in the routine daily supply fulfillment activities. They just don’t know all the other things that are happening, to ensure the ‘customer is supplied on time’! Every function in your business has an inherent responsibility for customer compliance and profitability. When ownership of the customer and accountability for their satisfaction and performance is left solely to the sales team, your company can be highly susceptible to margin erosion. The ‘Bowtie Effect’ visually depicts a common situation in customer-supplier relationships—where the brunt of the relationship is controlled between the seller (supplier sales) and buyer (customer procurement). The sales and procurement people are thought to be the controlling point of contact for all their respective company functions, and they manage the relationship through their own unique set of lenses. But herein resides the essence of this margin erosion pitfall. But what is the job of the team members in the wings of the bowtie, as it pertains to each of them servicing a customer? Is it to make the customer happy at any costs? Or, is it to ‘push back’ when a customer keeps asking for a little more here and a little more there? Each of the above aspects of ‘doing their job’ has the potential to create a movement away from the terms within the contract and thus comes with a hard cost that hits your company’s profit-and-loss (P&L), either directly or indirectly. In effect, when functions within a business abdicate their responsibility for customer management, handing it entirely to the sales team, end-to-end commercial accountability for margin management disappears. Lack of cross-functional commercial ownership can result in significant margin erosion. Failure to manage the Bowtie Effect can be costly, and not just in financial terms. It can negatively impact staff in any function trying to do the best job they can. They may have no idea what’s in a supplier-customer agreement stowed away somewhere. They may not know what the negotiated version of ‘good’ looks like for their functional point-of-view, so how would they know what accountability standard to hold the customer to? Non-sales staff are the most vulnerable to excessive demands and lack of compliance from their customer counterparts. And, as a result of customer management being entirely in the hands of the sales staff, non-sales staff are much less empowered to do their jobs effectively and guard your margin. Like the well-known African proverb ‘It takes a village to raise a child’, so too does it take the equivalent ‘village’ to raise a customer. 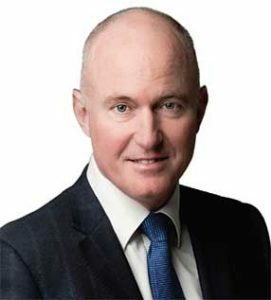 Paul Allen is Australia’s Leading Authority on Supplier Margin. For over 25 years Paul has worked with major business-to-business entities, pursuing revenue and margin growth through internal innovation. He specialises in demonstrating to suppliers how they can increase their net margin entitlements with contracted customers. Paul typically helps his clients reclaim at least 15% of profit that would otherwise be lost in the over-servicing of customers. In his book, Take Back Your Margin! 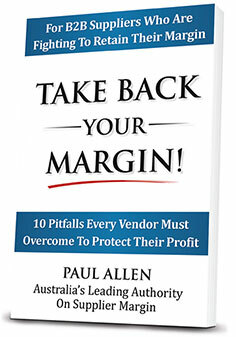 Paul reveals 10 critical insights that every vendor must overcome to protect their profit. Through personal experience and detailed case studies, he shows suppliers how to regain the margin that is rightfully theirs.